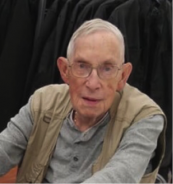 Suddenly at Brierwood Gardens on February 3, 2019, in his 92nd year, surrounded by the love of his family. He is reunited with his loving wife Marg (2013). He will be greatly missed by his children Dianne (Gene) Neziol, Donna, David (Nancy), Dale (Colin) Reid. Predeceased by his brother Armstrong and sister Elaine. Loving Papa of Sara, Lisa, Teresa, Sean, Jordan, Megan, Devon, Ryan and 5 great-grandchildren. Funeral service will take place on Friday, February 8 at St. Basil’s Roman Catholic Church at 11am. Memorial donations to the Cancer Society would be appreciated.